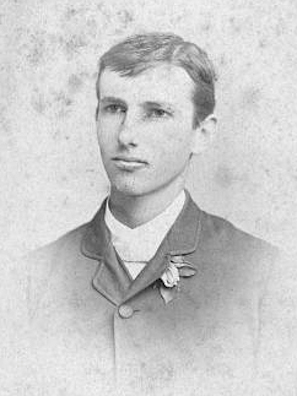 John William Thomason was born on 21 August 1864 in Texas. He married Sue Hayes Goree, daughter of Thomas Jewett Goree and Eliza Thomas Nolley, on 24 February 1892. John William Thomason and Sue Hayes Goree appeared in the US federal census of 1 June 1900 in Huntsville, Walker County, Texas. Other members of the household included John William Thomason Jr., Herbert T. Thomason, Sue G. Thomason and James Joshua Thomason. John William Thomason and Sue Hayes Goree appeared in the US federal census of 15 April 1910 in Huntsville, Walker County, Texas. Other members of the household included John William Thomason Jr., Sue G. Thomason, Herbert T. Thomason, James Joshua Thomason, Emily Thomason, Mary Thomason, Robert Thomason and Elizabeth Thomason. He was a doctor, according to the 1910 census. John William Thomason and Sue Hayes Goree appeared in the US federal census of 1 January 1920 in Huntsville, Walker County, Texas, and also a hired man.. Other members of the household included Herbert T. Thomason, Sue G. Thomason, James Joshua Thomason, Emily Thomason, Mary Thomason, Robert Thomason and Elizabeth Thomason. He was a physician and surgeon, according to the 1920 census. John William Thomason and Sue Hayes Goree appeared in the US federal census of 1 April 1930 in Huntsville, Walker County, Texas, at 1207 avenue J. Other members of the household included Robert Thomason and Sue G. Thomason. He was a physician (eye, ear & nose), according to the 1930 census. John William Thomason died on 4 March 1942 at age 77. He was interred at Sam Houston Memorial Cemetery, Huntsville, Walker County, Texas.